Alan Brown is a senior chef lecturer at the AUT, where last year he was awarded the Vice Chancellor's Academic Excellence Award, as well as becoming the first New Zealand recipient of the London City and Guilds' International Medal for Excellence in teaching culinary arts. Alan has 17 years' international cooking experience, and has trained some of New Zealand's best chefs, including Michael Meredith and Ben Bailey. 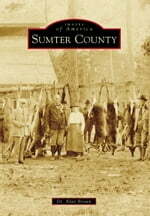 He is also a national culinary judge for Beef and Lamb New Zealand, Monteith's Beer and Wild Food Challenge and New Zealand Venison, among others. Alan spends most of his spare time tinkering with new food and cooking techniques, such as hot and cold smoking, cheese-making, sausage-making, sourdough bread-making, distilling and, of course, cooking in his pizza oven. 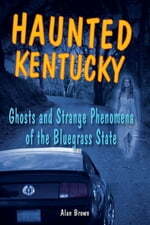 Kentucky's beauty is offset by a violent past of Indian wars, Civil War battles, and the tragic spirits from these conflicts. 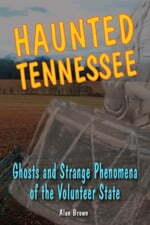 Meet the spirits and strange creatures found everywhere in Tennessee. 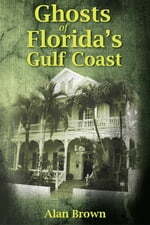 The only collection of ghost stories from the entire Gulf coast of Florida from Pensacola to Key West. 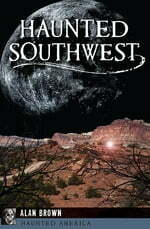 Each story has a detailed history of the haunted place. 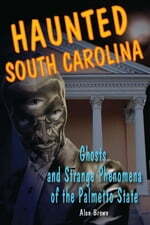 Phantoms from Indian conflicts, American Revolution, and the Civil War still wander South Carolina.